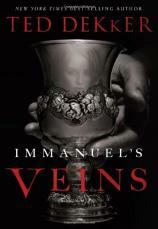 Ted Dekker has gotten on the Twilight bandwagon with his newest adult title, IMMANUEL’S VEINS, where this prolific and widely successfully author takes a different twist on the newest rage in genre fiction. Dekker, well known for his suspenseful storylines and edge-of-your-seat climactic endings, approaches this tale a bit differently than most. 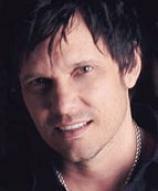 While there’s suspense, some violence and subtle spiritual takeaways, his mainstay weighs more heavily on his characters’ dialogue (internal and otherwise), focusing mainly on the meaning of romantic love. The year is 1772. Toma Nicolescu --- warrior and servant of Her Majesty, the empress of Russia, Catherine the Great --- is assigned to protect the female members of the Cantemir family. Toma is sent through the Ukraine to the principality of Moldavia (north of the Black Sea and west of Transylvania) to the country estate of the Cantemirs. Joined by his best friend (and womanizer) Alek Cardei, Toma and Alek approach the Cantemir estate from the mountains overlooking its valley home and speculate on what their assignment might entail. What neither suspects is that almost immediately both will be drawn into otherworldly encounters with real live humans who are the “bait” and the entrance gait to a devilish plot. Upon their arrival, Alek and Toma are to take part in the Summer Ball of Delights, given by the twin Cantemir young adult daughters, Lucine and Natasha, and mother Kesia. Well known throughout the land as some of the most beautiful and beguiling women, they couldn’t be more different in personality. Natasha and her mother, both devout seekers of pleasure in whatever form is available, contrast strongly to Lucine, whose tainted past has jaded her toward men and love. Almost immediately upon meeting one another, Natasha and Alek become involved as Lucine plays a more cautious hand with her interest in Toma. Still, once Toma watches the now pure of heart Lucine give way to Valerik’s devious plot to wed her, Toma breaks free of the coven’s hold upon him and searches for a way to set them all free. Enlisting the help of local priests does no good and only lands Toma in jail, but a mysterious prophet sets Toma free, and he again advances toward the castle knowing full well he may die in the process of his rescue attempt. What happens next is the culmination of the love lost and regained on physical, emotional and spiritual levels. This gives Dekker’s fans some food for thought on the likes of love and romance, and the power it exerts over the human heart.